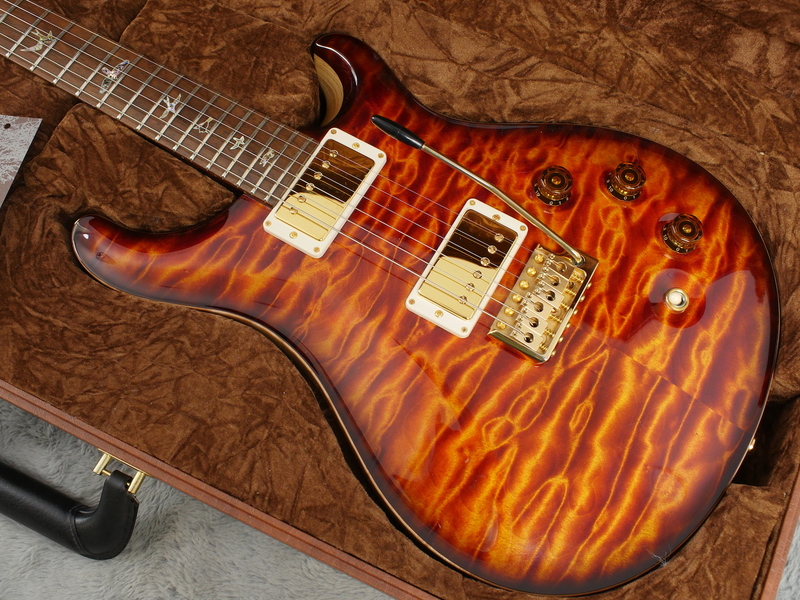 A real success story of more recent times, this PRS Custom 22 Private Stock DGT from 2016 exemplifies the high end output that we’ve come to expect. 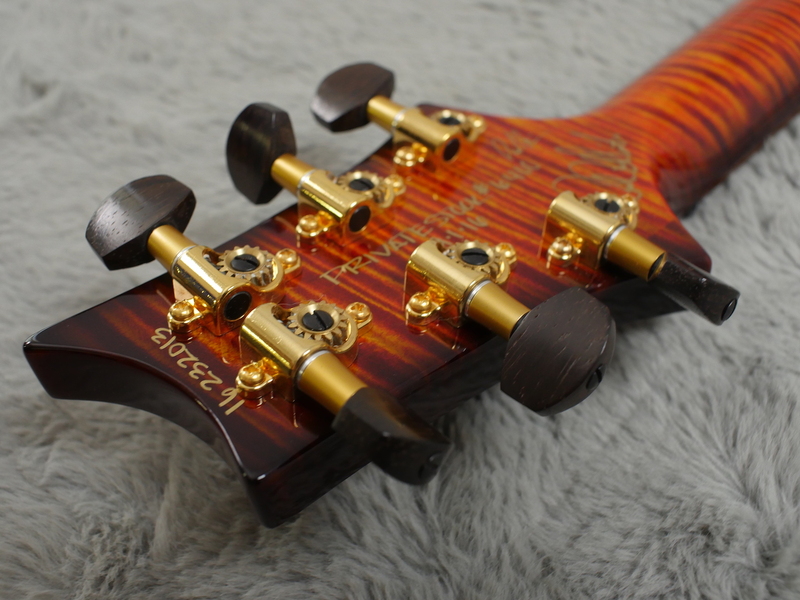 A truly stunning piece (part of the 20th anniversary of the Private Stock Department) each one of these instruments are hand crafted, selecting the best wood combinations and attending to each detail with with a high level of precision. 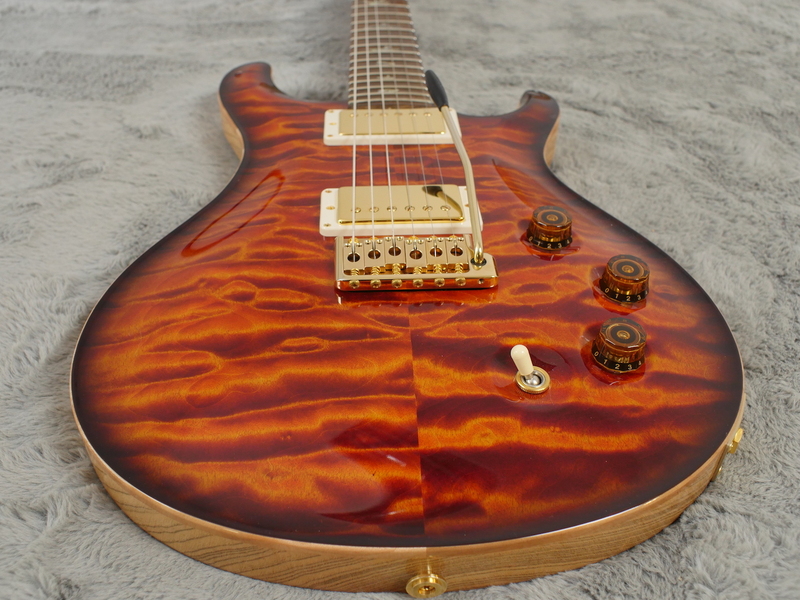 The body comprises a finely sculpted sandwich of quilted maple and swamp ash, the electric tiger smoked burst highlighting the perfectly book matched undulations of the maple top. 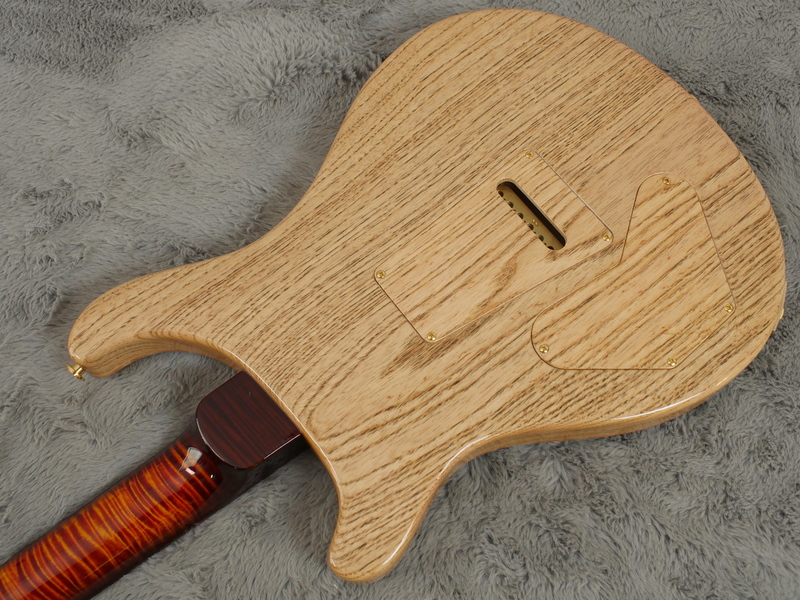 This is elegantly contrasted by the natural finish of the sides and back letting the ash speak for itself. 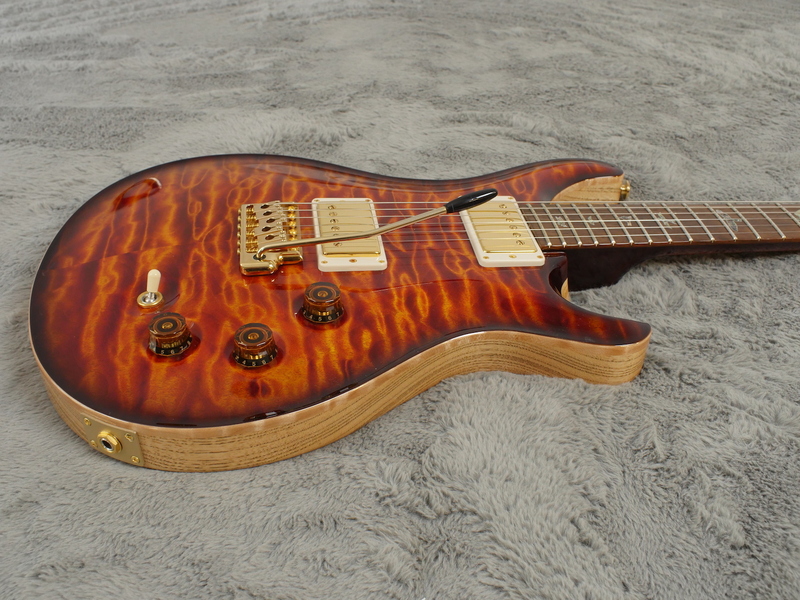 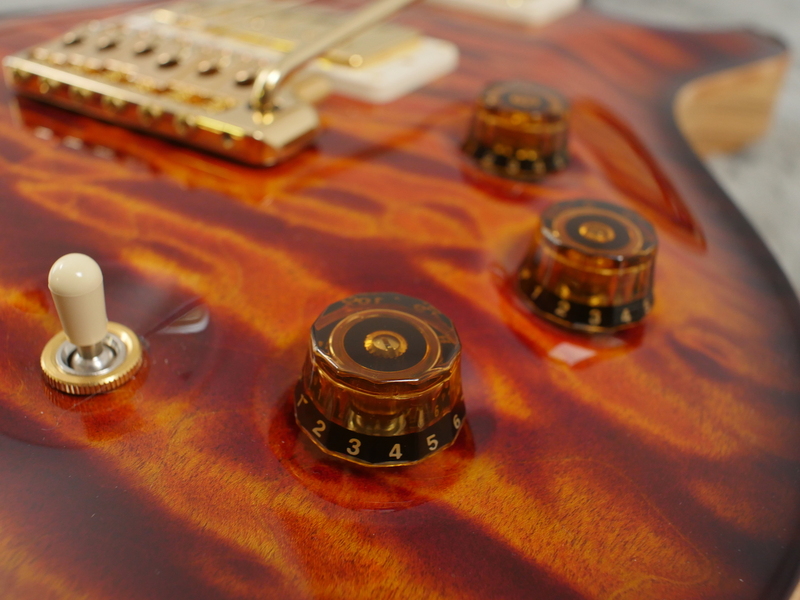 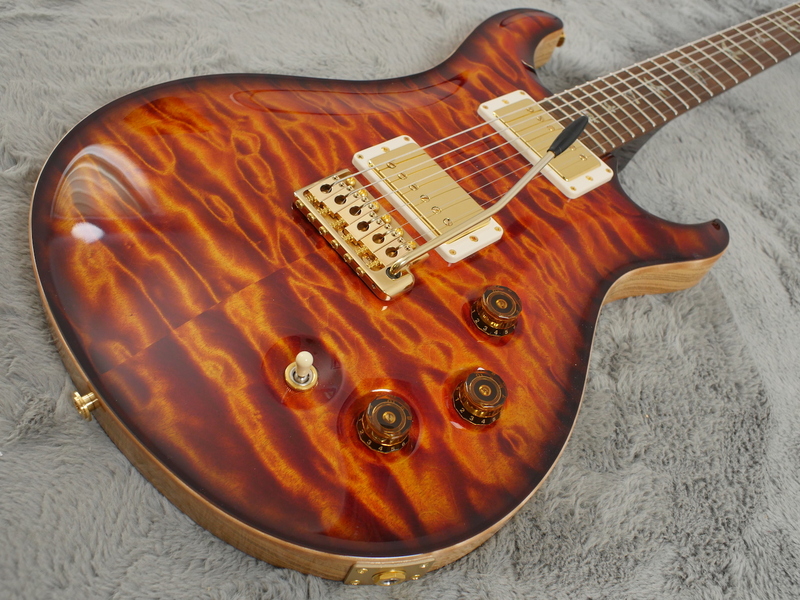 Its here we also see some of the attention to detail with the grain matched tremolo and control covers. 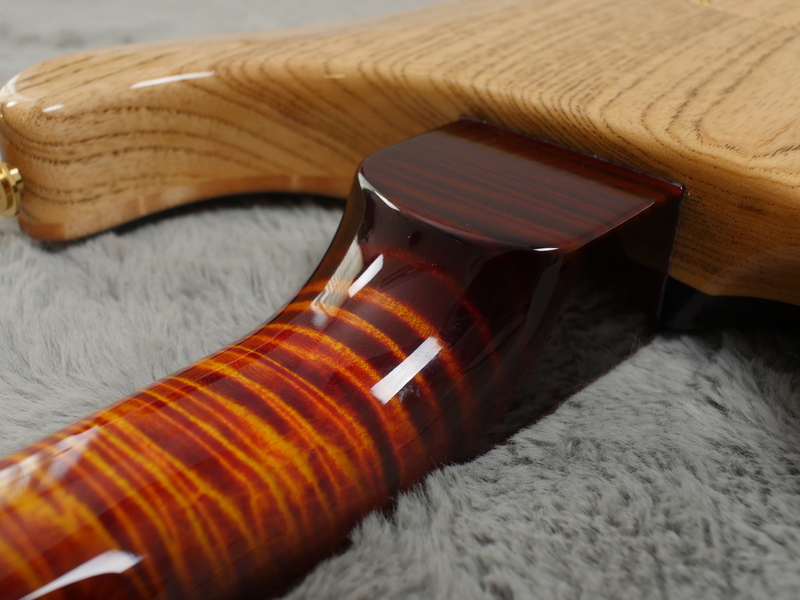 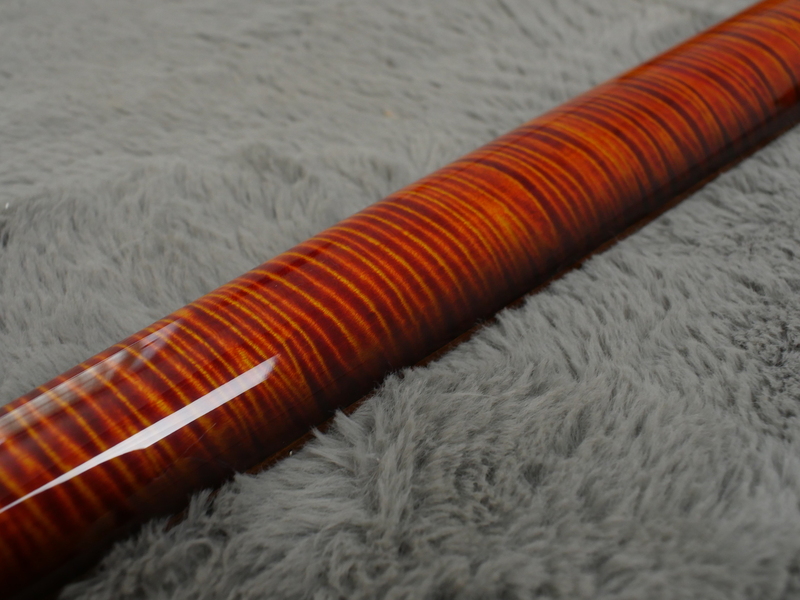 The curly maple neck also gets the same treatment as the top, highlighting the wood grain to devastating effect. 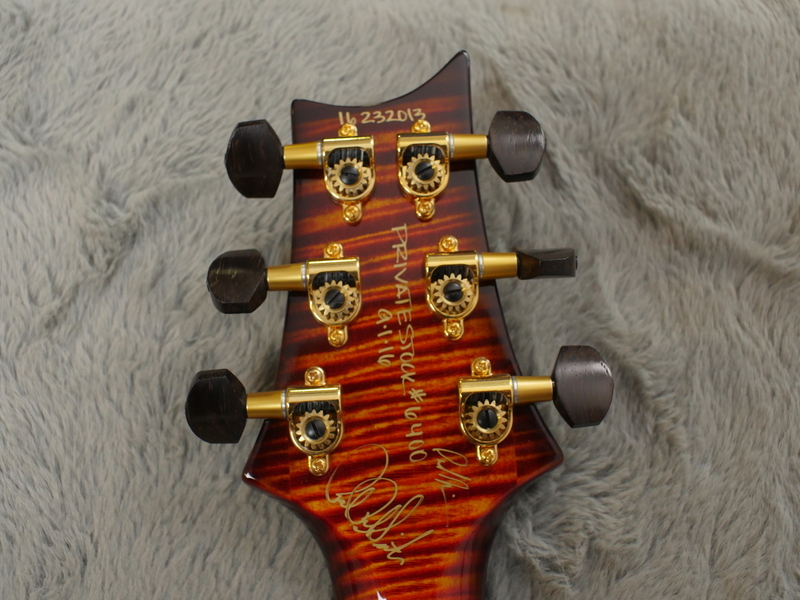 The back of the instantly recognisable headstock bears the signature of both Paul Reed Smith and Paul Miles who is the Director of the Private Stock Department. 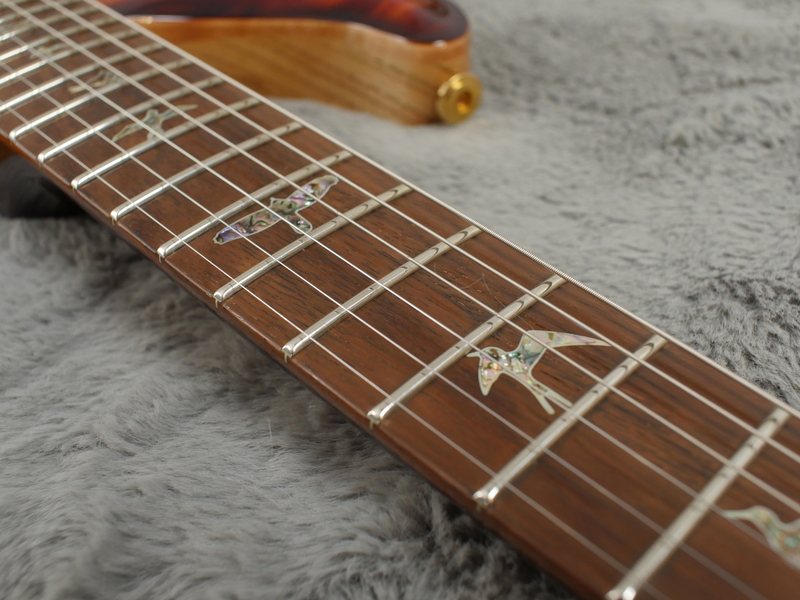 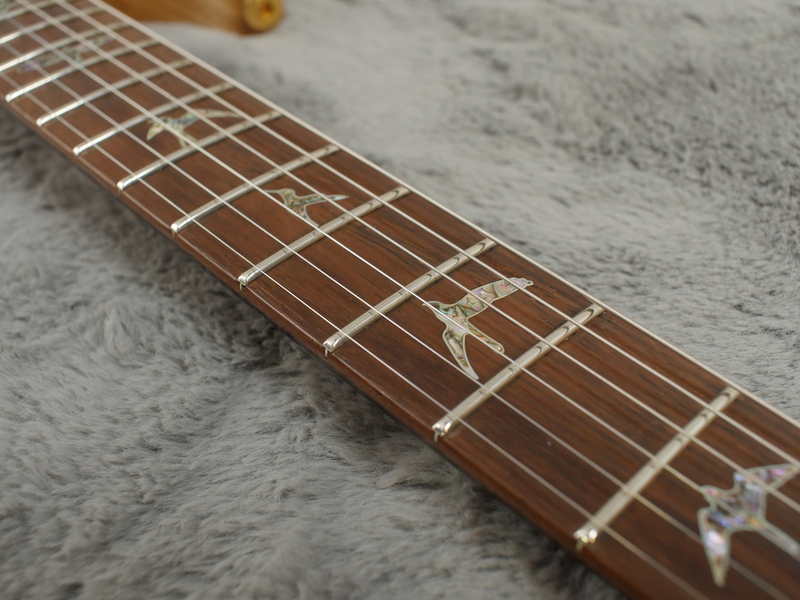 The Brazilian rosewood fingerboard is finished off with red heart abalone birds with mother of pearl outline as is the headstock face, bedecked with the Private Stock Eagle motif. 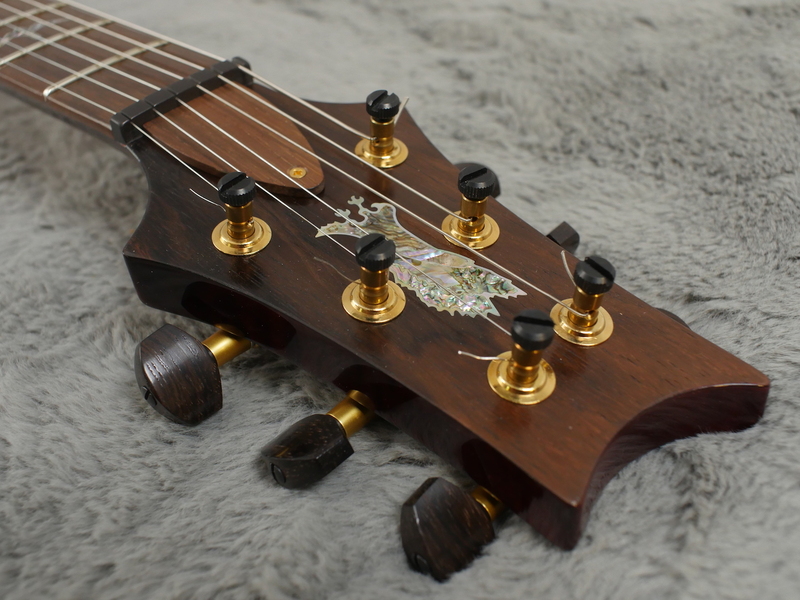 The gold plated hardware includes a David Grissom Tremolo (DGT) and the evocative Phase III locking tuners, finished off here with rosewood buttons which is a very nice touch. 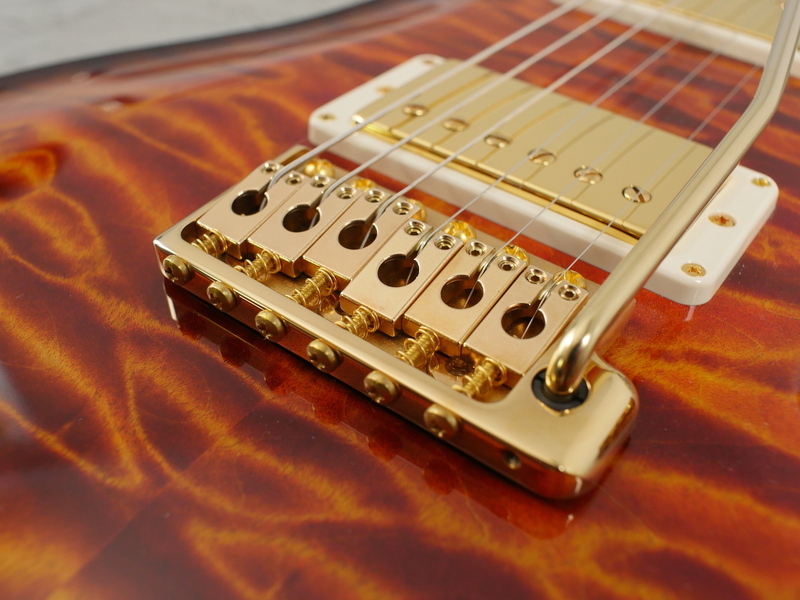 The pickups too are David Grissom vintage pickups, selected by the man himself following many years of trials. 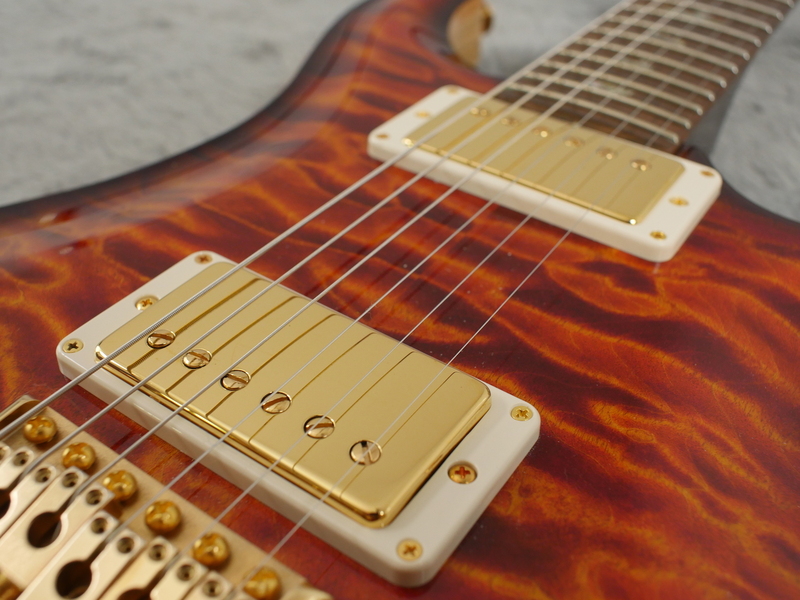 The gloss finish of this guitar is w wonder to behold but unsurprising when considering the level of craftsmanship that has gone into the instrument and the care that it has received subsequently. 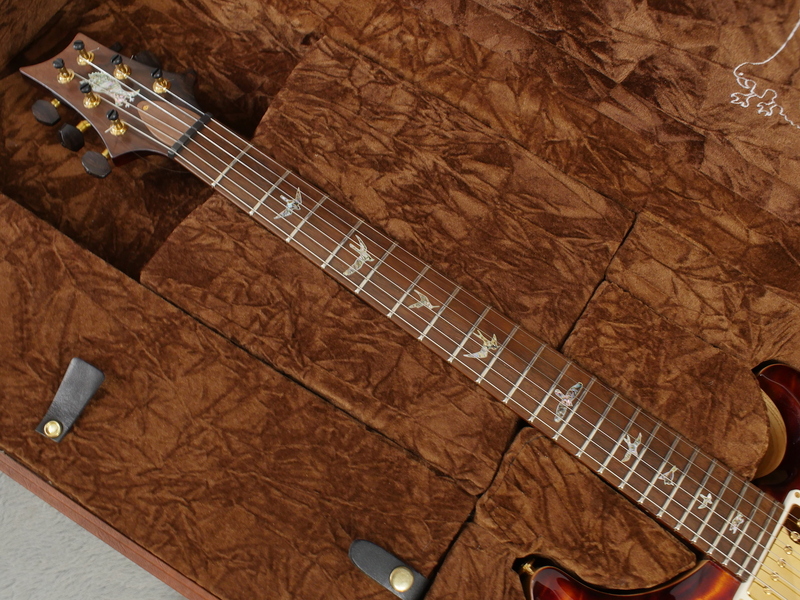 The guitar comes with its own Private Stock leather case. 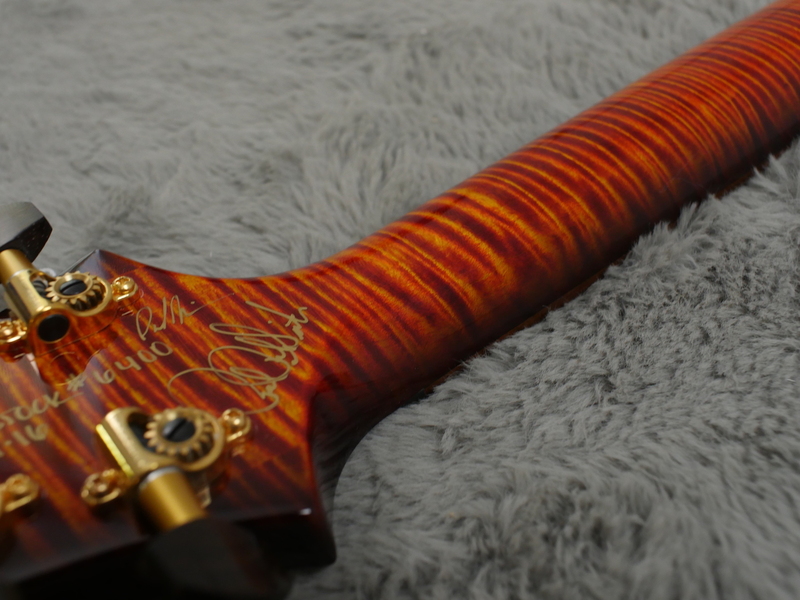 When we get down to playing this guitar, its a wonder. 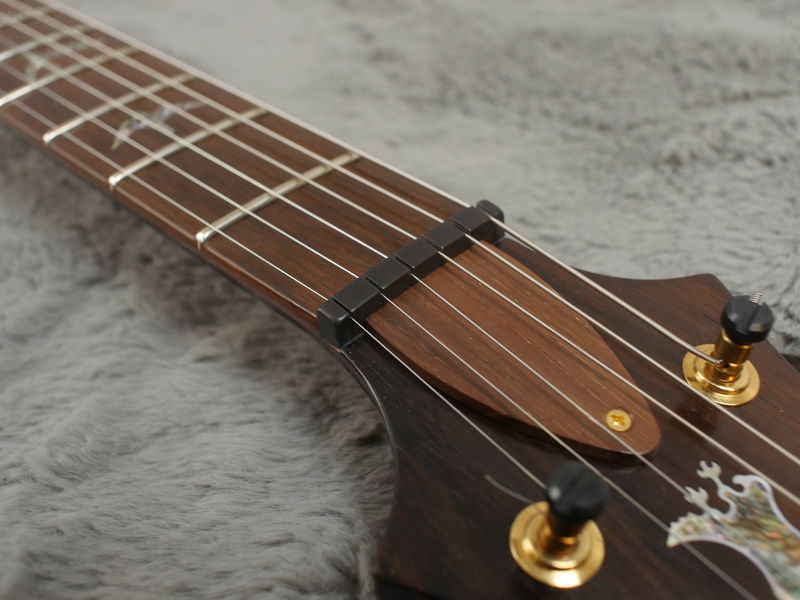 The DGT neck profile is a little on the chunky side but is by no means baseball bat territory and provides a comfortable playing feel. 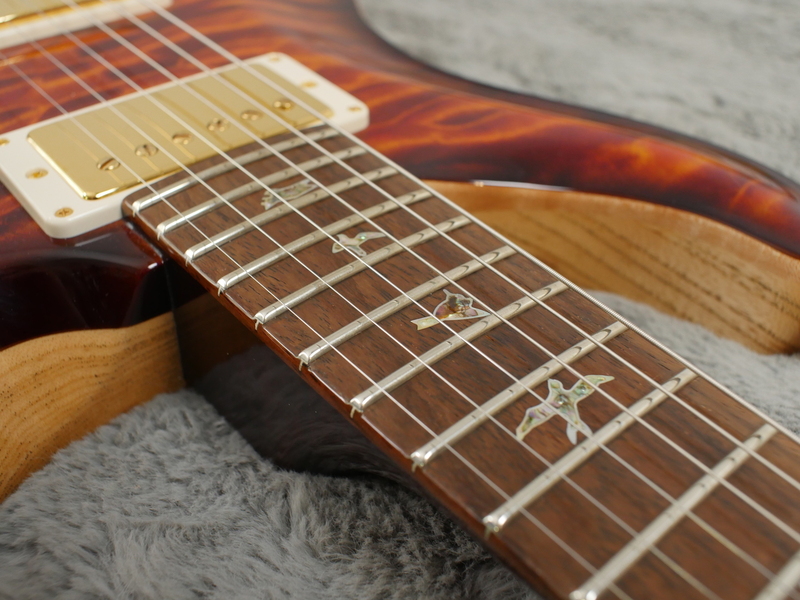 The body has a pleasing ring when tapped, a feature that Paul Reed Smith himself has always gone to lengths to demonstrate with his instruments. 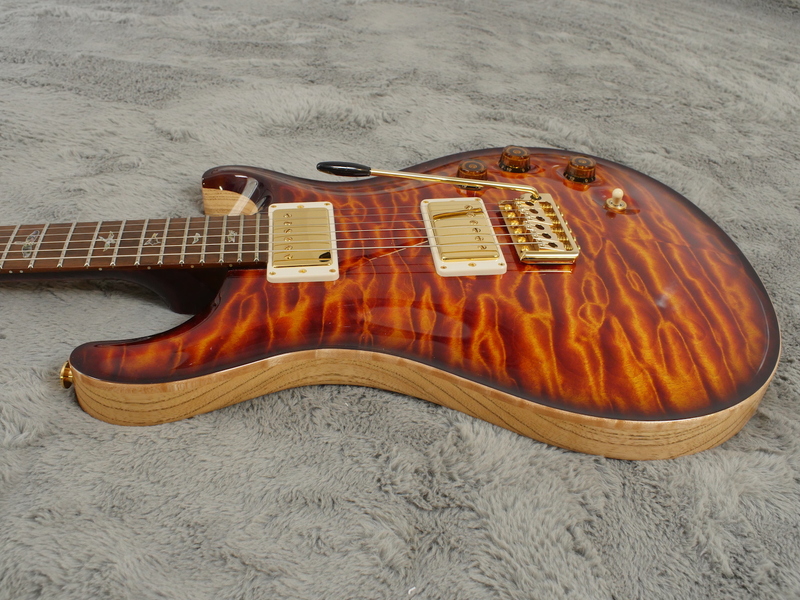 This translates to a fantastic sustain. 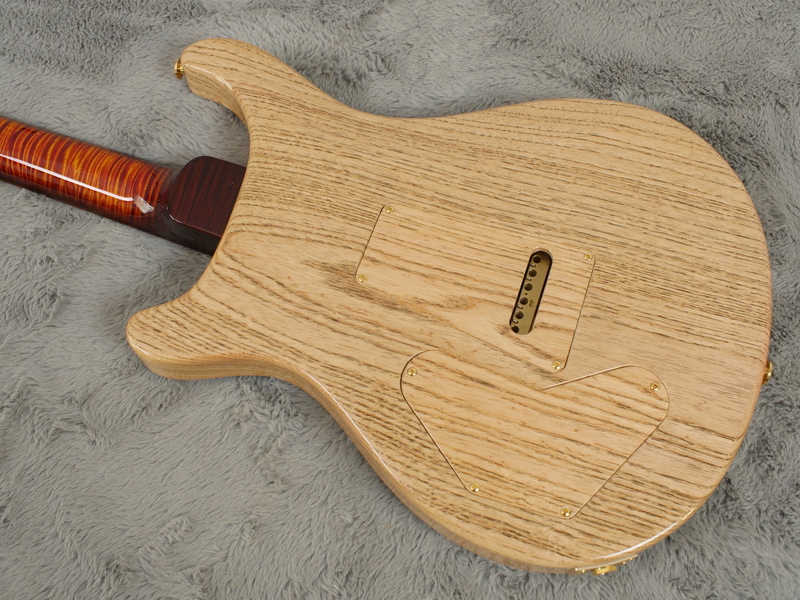 The maple ash combination gives this guitar a lighter tone than one of its mahogany counterparts which works well with humbuckers and especially where the coil tap is engaged where we find a very convincing strat-like tone. 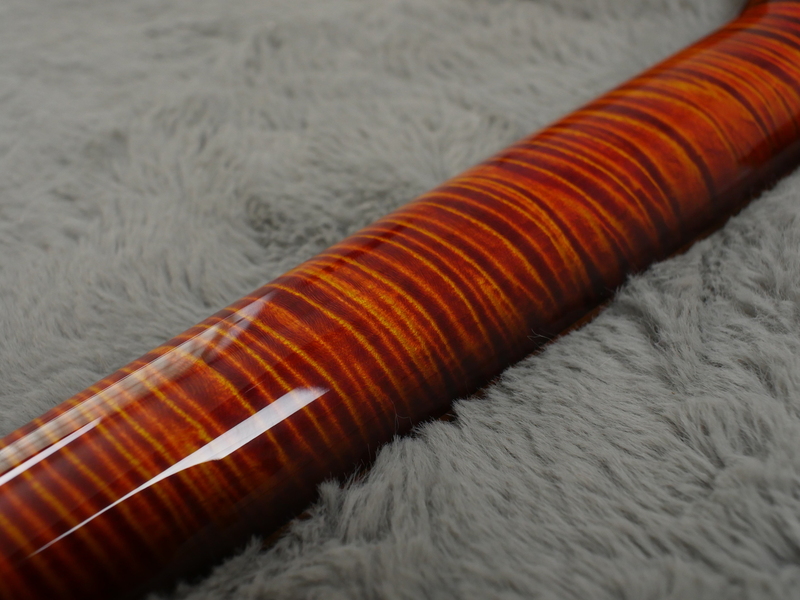 A superbly versatile instrument that not only looks the part but sounds it too. 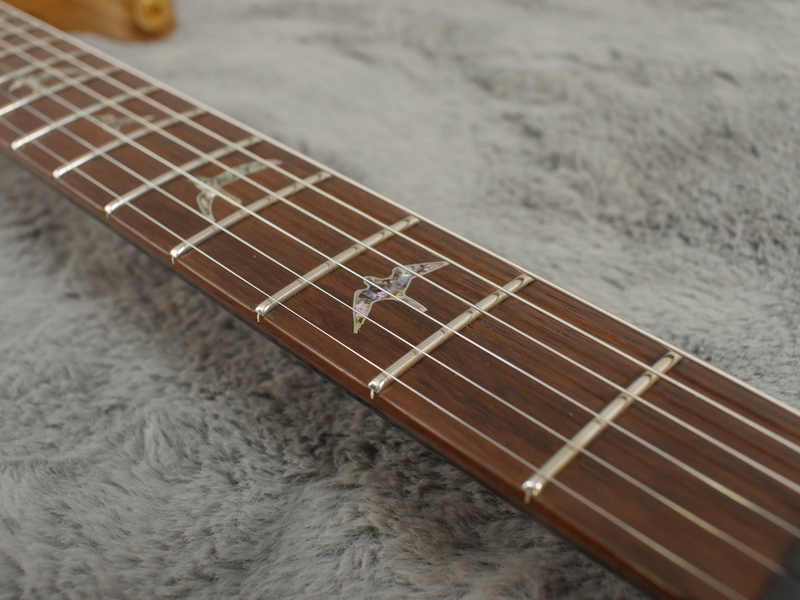 But what were you expecting?! 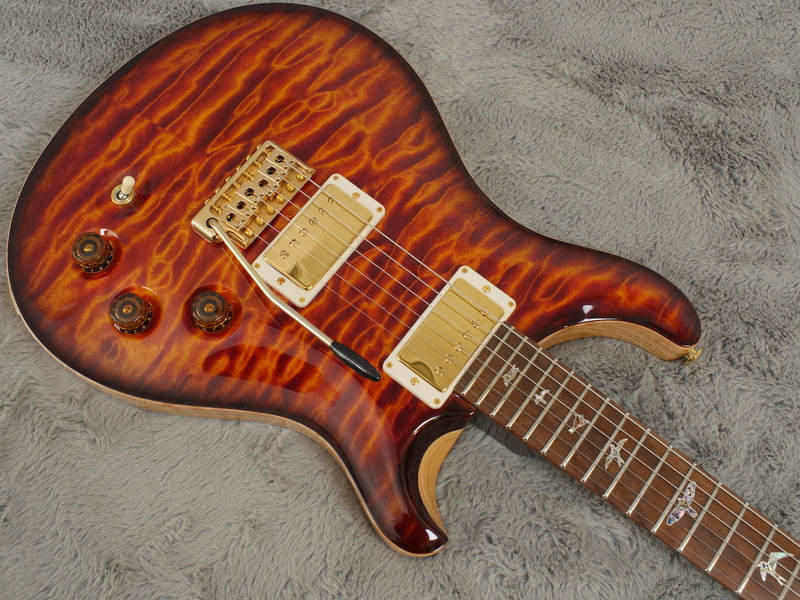 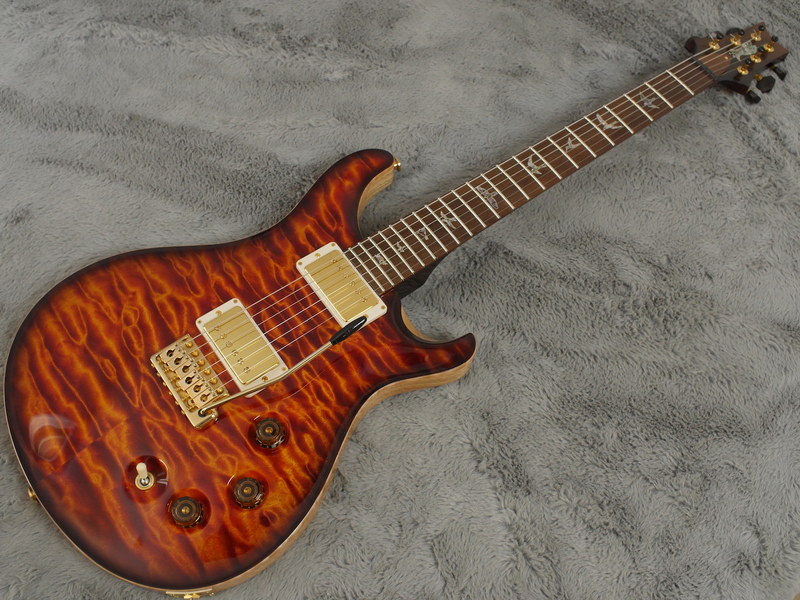 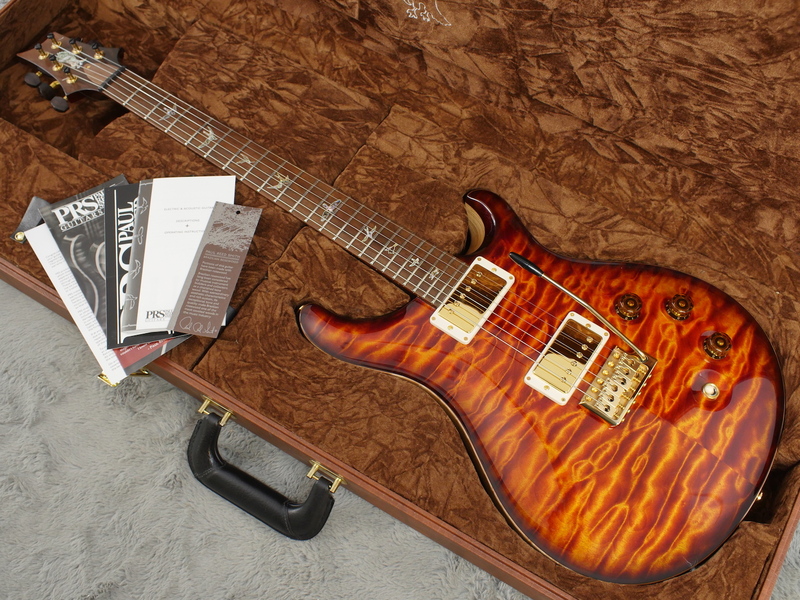 Not a common sight here at ATB Guitars but anyone with even a passing interest in the electric guitar over the past thirty years won’t have been able to miss the meteoric rise of PRS and their distinctive take on the electric guitar. 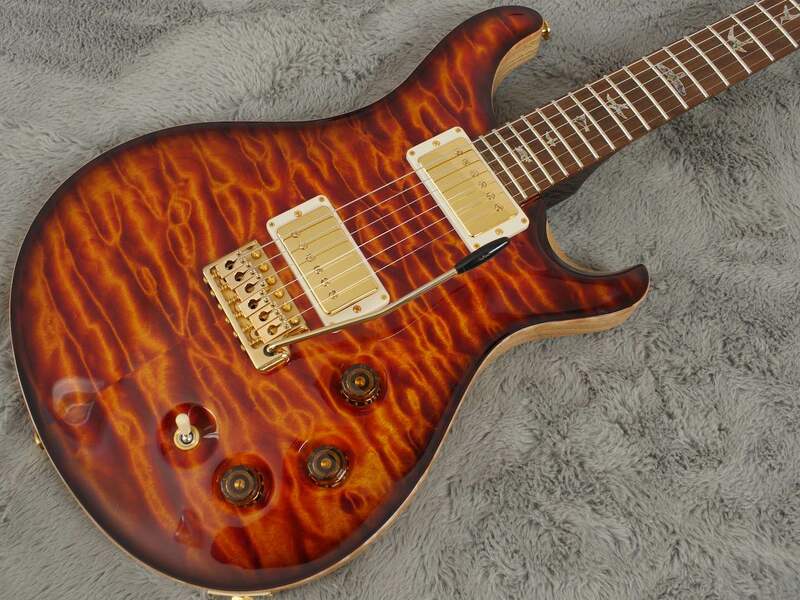 These could well be future classics and here is your chance to pick one up in show room standard.